coffee in Anton, and the conversation turned to seeding pastures. Frequently, a rancher is unhappy with grass production in a pasture, or a pasture has been taken over by an invasive species. A common response is to seed the area of concern with a pasture mix. This was extensively pushed by the Soil Conservation Service (now the USDA-NRCS) in the 20th century. While this makes sense from an agronomic perspective, it is often tough to justify from an economic standpoint. This is because rangeland (as opposed to cropland) is inherently low-margin. Seeding with quality plant materials can cost $50 - 100 / ac-1, making it very hard to generate return on investment. Ranchers operate with very narrow profit margins - meaning any profit in good years is already spoken for. Because of this (and the lack of Federal assistance), much of Colorado's rangeland produces below its potential. Landscape-scale seed distribution is another limitation. 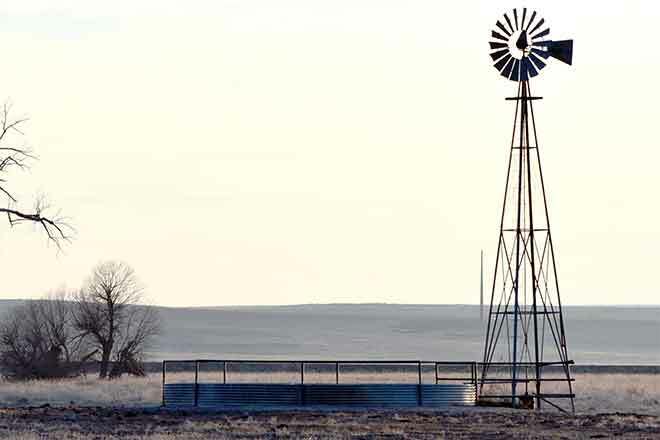 Prior to Western settlement, the Great Plains ecosystem functioned much differently. Massive herds of bulk grazers (e.g. Plains bison) perpetually moved across the landscape, acting as literal seed spreaders, fertilizers, and cultivators as they annually migrated up from the Southern Plains to the Saskatchewan River. Selective browsers (e.g. elk, antelope) also played a much larger part on the prairie, grazing and controlling weedy or woody plant species. This equilibrium was then disrupted and modified in the 19th century, resulting in our current patchwork of land uses, livestock, and range conditions. But wait, you ask, doesn't native prairie grow its own seed? The answer is yes and no. Overgrazing, especially over a long-term period, can drastically reduce plant vigor and seed production. This is caused by stress and damage to the plant from excessive grazing. Think of your pastures an investment. If you withdraw 40% every year, your investment will quickly fail. However, if you sensibly withdraw below the rate of return, your investment will grow. The prairie is the same way! There is a reason that it is called the soil seed "bank". Grass seeds can be viable for 50 - 100 years. Back to the dining room table in Anton. We were discussing seeding pastures, its limitations (cost and distribution), and some potential solutions. One of the ranchers had phenomenal stands of blue grama (Bouteloua gracilis) in several pastures. His explanation was: he has always pulled the cattle out of those specific pastures on his wife's birthday (July 15). The rancher didn't realize it, but he had been inadvertently managing those pastures to improve seed production all along. By removing cattle from the pasture before seed production, he was allowing the grass to regrow and set abundant seed. The solution to this lies in understanding the life stages of a plant. The main life stage is called the vegetative growth phase, where the plant is actively growing new tissues. When the day length begins to change, plants recognize this and begin a new stage - the reproductive phase. This is when the plant flowers, and the specific date varies between each species. Range grasses bloom flowers as well! These flowers are often too small to see (a survival tactic), and grow in an inflorescence (seed head). An extreme example of this is modern corn, which was bred over time to produce huge inflorescences. Its native ancestor in Mexico, called teosinte, has an inflorescence smaller than a child's finger. 1. Sensible stocking rate. The most important thing a rancher can do is to set a proper stocking rate. Stocking rate is determined by finding the amount of available forage on a mass per area basis (i.e. pounds per acre), determining a suitable utilization factor (usually 10-35%), and then calculating the number of Animal Use Equivalents (AUEs) that pasture can support. If a good, conservative stocking rate is used, seed production should not be a problem as only 10 - 35 % of plants will be affected annually. 2. Cultural management. A holistic approach has become common in range management. Often, we are faced with an ecological problem, such as invasive species. It is important to think of the entire chain of cause and effect that constitutes that problem. For example, what led up to that problem pasture? Was it the current invasive species, or was it the 50 years of mis-management and overgrazing that perpetuated it? Just how a sports team spends hours poring over their game tape (win or lose), it is important that we take time to honestly assess our successes and failures in land management. Modifying your management style could have excellent ecological and economic effects for your ranch. 3. Rest-rotation grazing. Many of you with Federal ground may be familiar with this grazing system. It was extensively used by the Forest Service in the mid-20th century. (Authors note: I am not specifically referring to this official 5-pasture, 3-herd rotation system). Rather, here we should take away the idea of resting problem pastures. If you have a specific pasture that is in bad shape, let it rest for a season or two. Combine this with an excellent moisture year like 2016, and it may be all you need to get that pasture going in the right direction. Rotation can also be worked into your system, allowing pastures to be rested or deferred some years and not others (similar to the Anton rancher). In conclusion, it is important to remember that, in range management, all of our actions are intricately linked. A rancher wanting to work on his wife's birthday can have direct, beneficial ecological effects (domestic, well that is another story). Knowledge and awareness of range science principles can help achieve many of your management objectives. This includes knowing - and respecting - natural cycles. Seed production is the prairie's way of perpetuating itself, and with sound grazing management, we can ensure its economic and ecological productivity for the centuries to come. 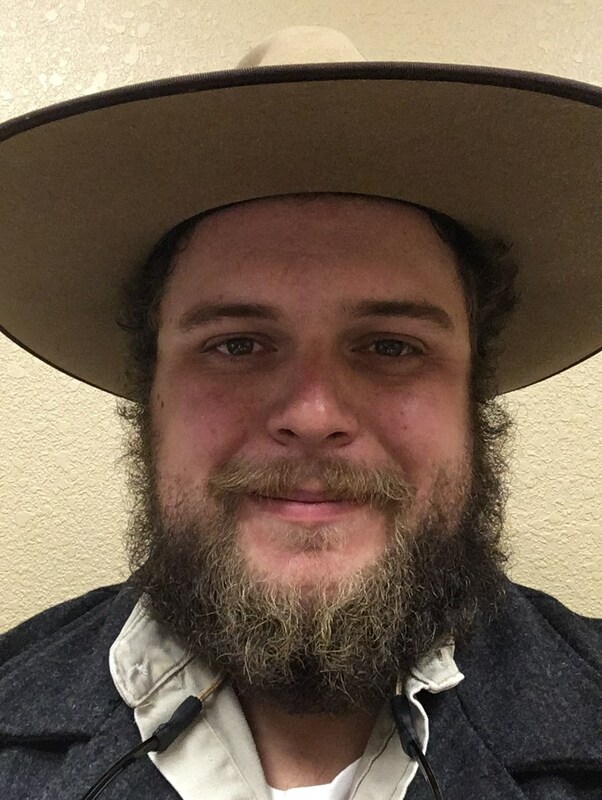 Donald F Schoderbek is the Regional Specialist (Range Management) for CSU Extension, serving 32 counties across eastern and southern Colorado. His office is located in downtown Sterling. His phone number is (970) 522 7207, and his email is donald.schoderbek@colostate.edu.